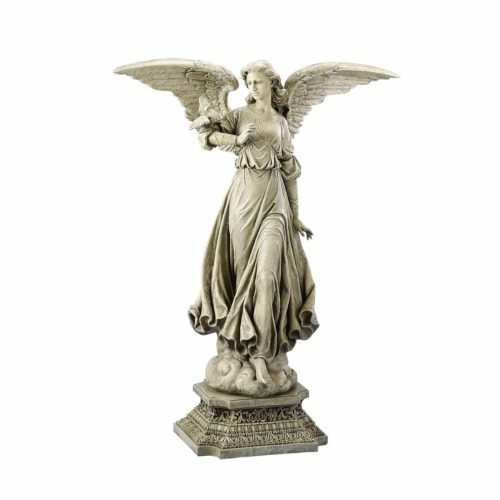 Gorgeous Large Angel Garden Statues! 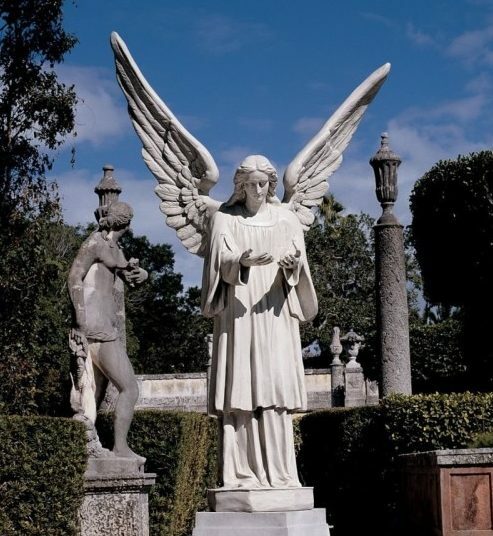 My Favorite Beautiful Large Garden Angel Statues! 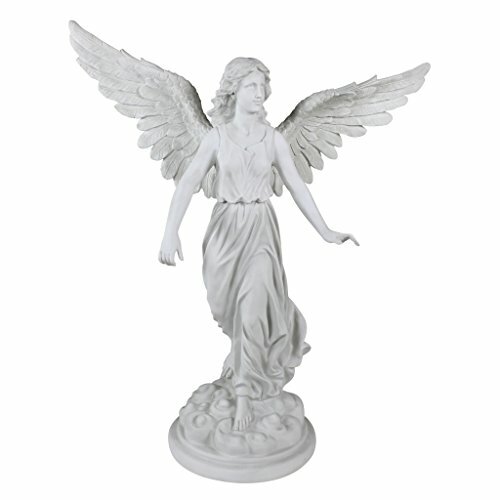 These beautiful and peaceful angel sculptures also make wonderful angelic gift ideas for people you love! Today I’m going to show you my favorite large garden angels! They are perfect for any garden! She is also very tall! Perfect to have by some beautiful flowers and on a nice spot, near your front door, so everyone will see her! 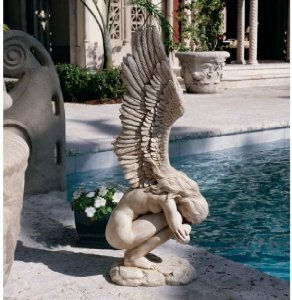 Here you will find my most favorite angel garden sculptures being sold online right now! I prefer the tallest and impressive ones, (over 50 inches!) but the medium-sized angels, at around 30 inches tall are also great to have in a special spot. I also LOVE the tall garden angels with HUGE open wings! 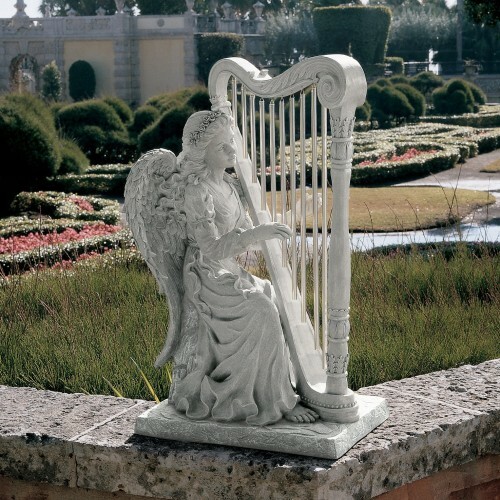 I hope you will enjoy my selections and find the perfect angel for your garden! Another favorite of mine is this impressive and very realistic tall angel sculpture with his wings wide open. He stands over 6 feet tall! He also has this gorgeous faux stone finish. Perfect to have by your entryway! He also makes a wonderful angel gift idea for a new home owner! Another gorgeous monumental garden angel sculpture for sale! What a beautiful praying angel outdoor statue! The larger their wings, the more I like them too! This one also has a beautiful stone finish and huge wings! Very nice piece to have by your front door! 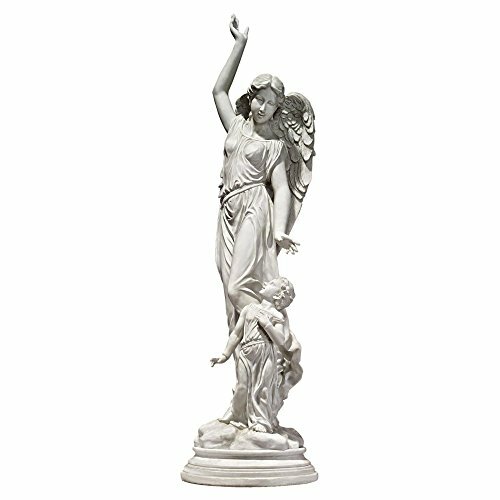 The Praying Basilica Angel Statue – Set of 2 Gorgeous Praying Angels! You will get two gorgeous praying angels for your home! You can either have both by your front entrance, one on each side, or you can keep one for you and give the other one as a gift! They have a beautiful hand-painted finish and amazing details! They are over two feet tall. This is also one of my favorite angel sculptures! It’s the angel of patience! I love his amazing and highly detailed open wings! You can see each feather! I also love this gorgeous angel playing harp statue! Now check this out: it actually plays!! The harp is made using 10 real wind chimes that will play a heavenly melody when the wind passes though! Then it will seem that the angel is really playing the harp! This is a very impressive sad emotional naked angel crying sculpture! It is an extraordinary piece! Her wings are absolutely amazing! Will look powerful anywhere you put it! What a beautiful statue of an angel holding a child in his arms! Love his wide open wings too! 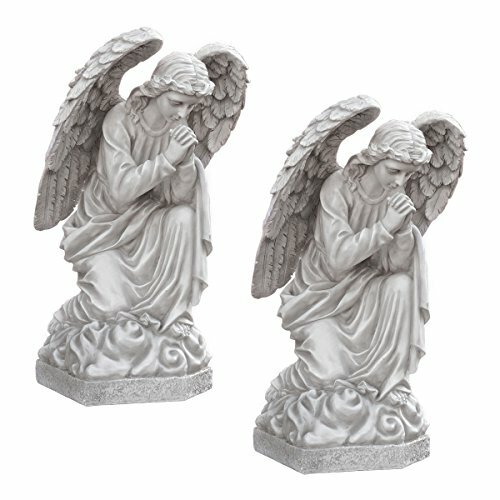 *I really hope you enjoyed these beautiful angel garden statues and were able to find one for your home! Gabriela, I’m very interested in the emotional angel! Can you give me a price, size and what the statue is made of! How beautiful your Angels are. I also believe in them. I have had the great blessing of talking to on at a time when I was very sick. The things she told me was so amazing I knew it was either a beautiful Angel or The Holy Mother herself. The voice of the Angel was so beautiful I can’t even began to tell you. I love the 2 Basilica Angels to put in the garden in Honor of my Mother. Can you please send me a price list of all of your Beautiful Precious Angels. I live in Hilo, Hawai’i and I love all the statues of angels you have available. 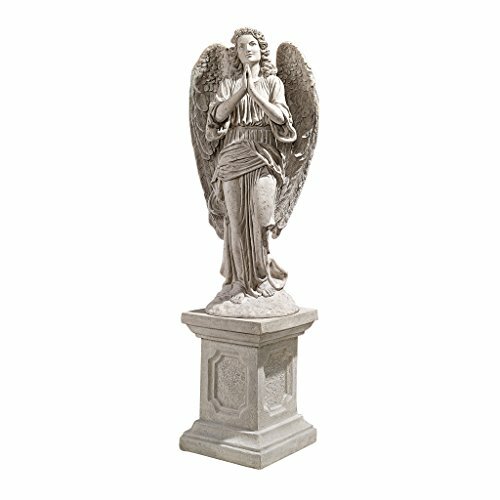 Although, I’m looking for angel sculptures around 3ft” tall. I want to incorporate these sculptures by my front entrance of my property. Do you have any available? Please, if you do send me some pictures and prices. I look forward to doing business with you.